Another example of tight merchandise spacing made possible by 2-Piece Metal Straight Entry Scan Hooks. A greater variation of package size makes scanning by row and column slightly more challenging. 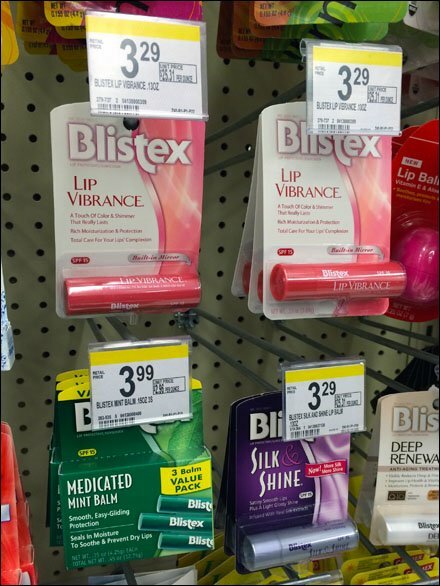 But all choices are Lip Balm and Treatments, so there is no cross-category confusion. 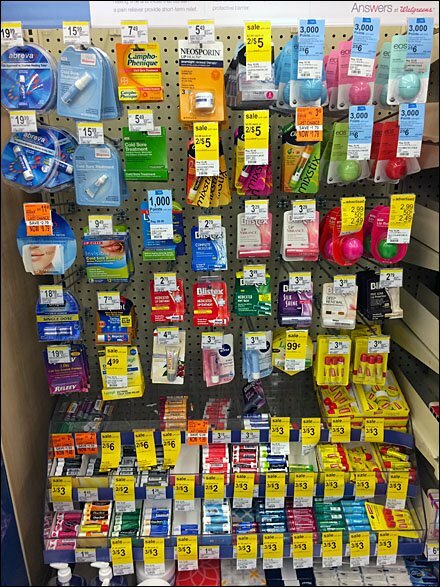 Straight Entry Hooks allow easier installation, simplified re-planograming, easier restocking, and tight placement under shelves, and of merchandising overall. See that Frontwire lengths are long, to position the merchandise well-forward for best visibility. CLICK the thumbnail for alternate viewd.